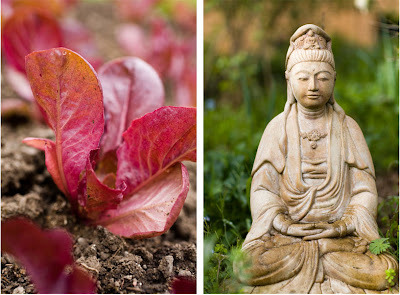 Wendy Johnson is a 35-year practitioner of Zen meditation and organic gardening, and was the master gardener of the Green Gulch Zen Center in Muir Beach, California (about 10 minutes past the Golden Gate Bridge). She's also the author of an amazing book, Gardening at the Dragon's Gate. 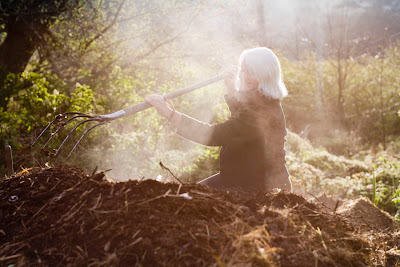 I got to meet and photograph her for the New York Times last week, and she taught me to constantly stay young by surrounding yourself with positive, happy people, drinking lemon tea, and getting your hands in your compost pile. Sara, I love the photo in the NYTimes that went with this story. The view looking down at the garden. When I lived in Cali, my sister and I would drive the road visible in the background, and this photo is full of great memories for me. Any way to get a copy of this, or another one you may have with this view? Thanks very much! The whole shoot was so lovely, filled with really good tea, flowers, food, and an amazing hike with an even better view. ever been to Post Secret?